Today, I was picking up a few items at Walgreens. I like Walgreens- the prices are good and they carry high quality items. I found a great deal on Nice! brand trail mix. The regular price was $3.99 for an 8-pack. It was on sale for $3.39 for an 8-pack. That's only 42 cents per bag of trail mix. 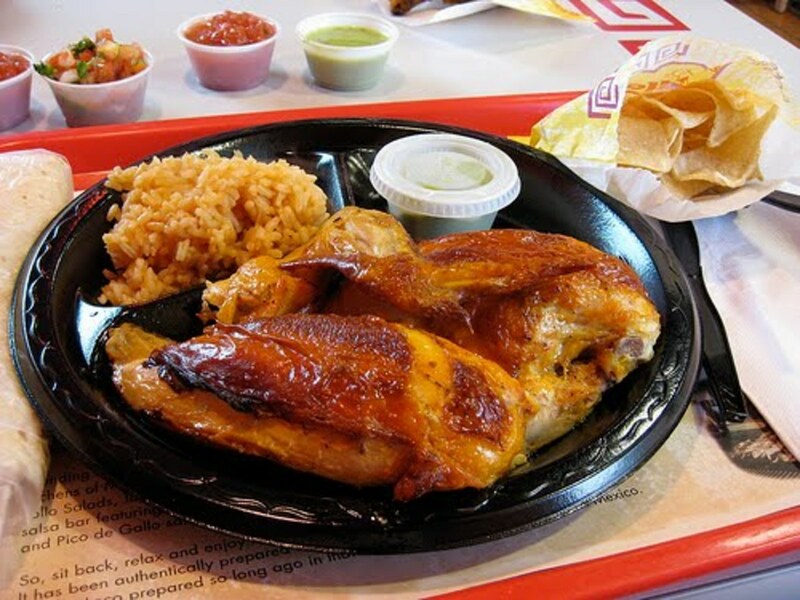 This is the high quality stuff with almonds, raisins, and chocolate. Bags of trail mix sell for $1 or more at convenience stores or vending machines, so I like to keep some on hand for breakfast or afternoon snacks. Walgreens has sale prices that can only be obtained if you have a Walgreens Balance Rewards card. 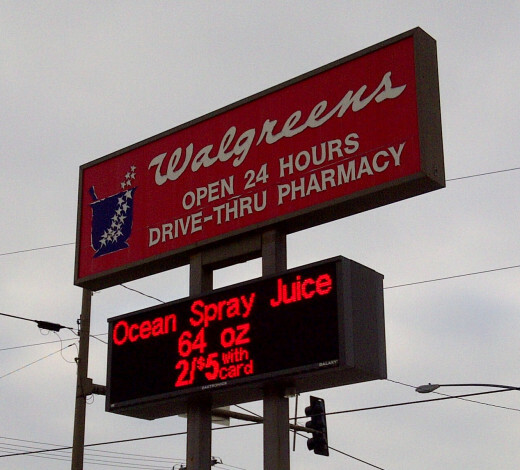 Notice the picture above of the Walgreens sign advertising Ocean Spray juice 2 for $5 with card. In order to get the sale price, you need to have a Walgreens Balance Rewards card. In the weekly advertisement from Walgreens, there are coupons for some items that state you need both the coupon and the card to get the sale price. As you use the card, you can accumulate points if you buy certain items or get prescriptions filled. I ended up with 450 points on my visit today. 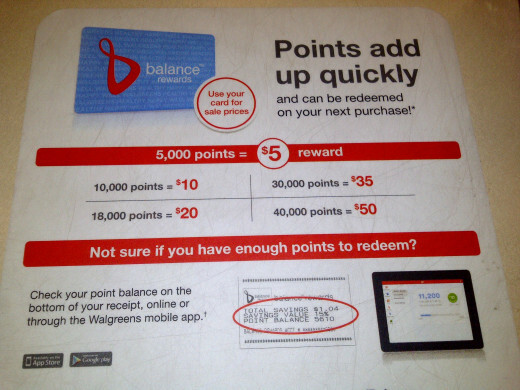 When you reach 5,000 points, you can get $5 in store credit toward a purchase at Walgreens. If you like, you can keep accumulating points to reach $10 at 10,000 points, $20 at 18,000 points, $35 at 30,000 points, or $50 at 40,000 points. How do you sign up for the Walgreens discount card? It takes about a minute to sign up for the Balance Rewards card at the store. At the check-out, the cashier or pharmacist will collect information including your name, address, and phone number to set up your account. You'll get your card right away and can start accumulating points and getting the special deals. I don't think I'll save tons of money with the card, but over time I'm sure I'll get some store credit and save some extra money by getting the best sale prices. If you get a lot of prescriptions filled at Walgreens, you could get a lot of points and in turn save a lot of money on Walgreens purchases using the rewards points. It sounds like free money to me! 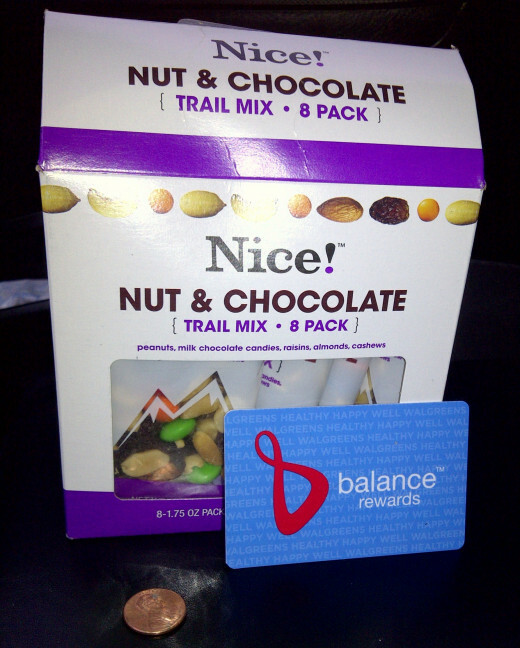 For further information, see Walgreens Balance Rewards website. Liquid Bandage: Effective for Protecting Cuts? Cheaper than Band-Aids? I got the Balance Rewards card a couple of months ago and while I only use it with my prescriptions I know I'll use it a lot more in the near future. 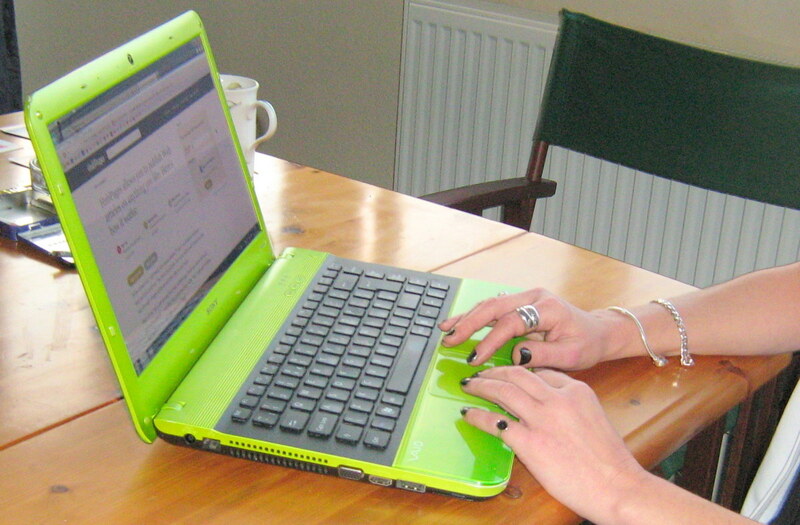 It's a get place to start for those becoming self-sufficient or just want to save a buck.